I've had a pretty productive week and managed to get a couple of things ticked off my to do list. Not all of them were high on the priority scale but that's the way things go and I'm just glad when I finish something at all! First of all I have booked This is Wiss into a couple of upcoming events in March. 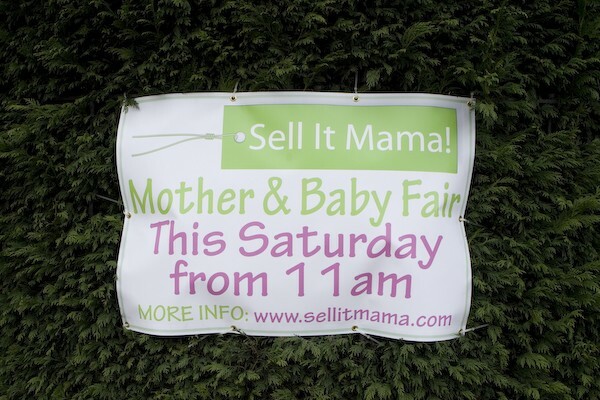 Sell It Mama is back in Gipsy Hill on Saturday 3 March. 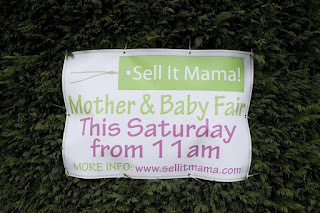 I love this event (both as a vendor and a customer!) and I'm happy to be part of it once again. You can get yourself some great bargains (see here), support some new local businesses plus there is always coffee and cakes! What more could you ask for?! I will be selling all my usual products and I have got some fab new fabrics to showcase this year. The other event is a new Craft Fair, organised by Emma Barrett to be held at the Balham Bowls Club on March 25. I was looking to push This is Wiss into uncharted waters and was interested by a tweet from Emma (@ebarrettdesigns) asking for makers and designers to get in touch with her. This is her first event, and the first craft fair to be held at the BBC so it's all a bit of an experiment but with 9 of the 12 tables already booked it looks like it's going to be exciting! I will post more details when I have them. I also found time this week to finish off a very over-due birthday present for a special little girl. She was two at the start of January but I am hoping that she will forgive me for a belated present (or more likely, not remember!) I am so chuffed with how it has turned out I will be posting seperately all about it as soon as I've taken some good photos. Sorry, Holly, you will need to wait just a little bit longer before I can post it to you!!! I felt like I was on a bit of a roll, so rather than start making new stock on Sunday night (which I needed to do) I decided to tackle another over-due project. I have been after a robe for Wiss to wear after swimming as it is so cold when we get out of the pool. My mum offered to make one so I bought this pattern from my favourite website 'Dana Made It'. All of her tutorials that I have used have been so clear and easy that I thought mum would have no trouble with it. I was wrong! She got scared off by all the talk of 'nap' and 'pile' so gave the project back to me to make myself. I am happy to report that is actually a very easy pattern and comes together super-quickly - 3 hours from start to finish! I made it from a thin Ikea towel, and strips of jersey fabric for the binding. I could say that I was looking for a distressed, urban and modern feel by using the jersey but in reality I couldn't find the bias binding that my mum had so thoughtfully provided! The jersey looks just fine though and will roll over on itself in time. I made the robe in the Large size (3-4 years) so it had a longer shelf-life, with the half belt detail. It is way too big at the moment but that doesn't matter much. If I were to make it again, however, I would make it with a full belt so it could be tightened more over tiny bodies. I would highly recommend this pattern though and not only did it keep Wiss warm after his lesson, it made him look like a Jedi Knight too. Not bad for a few hours work! Hmmm...not sure abut the smile Obe Wiss Kenobi, but I'm glad you like it!